The oldest manuscript book and a monument of Old-Serbian literacy is Miroslav's Gospel (Serbian: Мирославово јеванђеље / Miroslavovo jevandjelje), a 362-page liturgic book written in a transitional form between Old Church Slavic and Serbo-Slavic) between 1180 and 1191. It was written by two monks pupils, Grigorije and probably Varsameleon, on a white parchment paper for Miroslav, the Duke of Zahumlje, brother of King Stefan Nemanja. Miroslav's Gospel explains the origin of the Cyrillic script, the letters in it are a masterpiece of calligraphy and illustrations are daring and magnificent miniatures, vignettes and initials. For centuries Miroslav's Gospel has been kept in the Hilandar monastery of the Serb Orthodox Church, on Mount Athos, Greece. In 2005 Miroslav's Gospel was entered into UNESCO program Memory of the World. 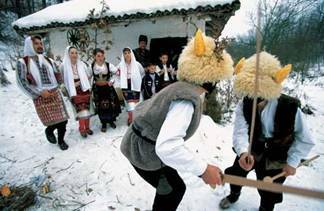 Medieval Serbian literature was dominated by folk songs and epics passed orally from generation to generation. Historic events, such as the "Battle of Kosovo" (Serbian: Бој на Косову / Boj na Kosovu) in the 14th century play a major role in the development of the Serbian epic poetry. One of the first countries to win independence from the Ottoman Empire, the Serbian independence movement sparked the first works of modern Serbian literature. Furthermore, Vuk Stefanović Karadžić, a friend of J. W. von Goethe famous, became the first person to collect folk songs and epics and to publish them in a book. 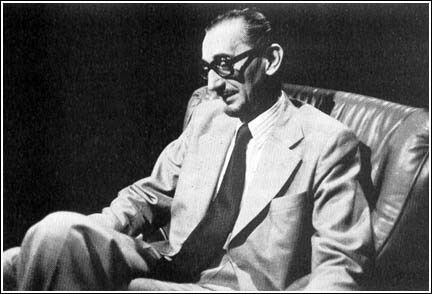 Vuk Karadžić is regarded as the premier Serbian philologist, who together with Đuro Daničić played a major role in reforming the modern Serbian language, though in recent times his work has been widely criticized for destroying the ethos of the Serbian language. In the 20th century, Serbian literature flourished and a myriad of young and talented writers appeared. 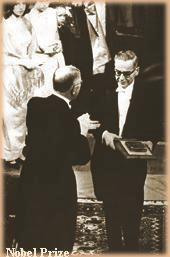 Ivo Andrić published The Bridge on the Drina (На Дрини ћуприја / Na Drini ćuprija) in 1945, for which he received the Nobel Prize for Literature in 1961 (link to Ivo Andric Foundation). The famous writers also include Miloš Crnjanski, Meša Selimović, Dobrica Ćosić, Borislav Pekić, Milorad Pavić, Danilo Kiš and many others. 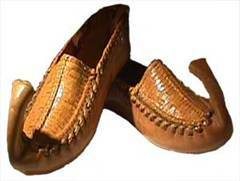 There are several types of national dresses depending on the region of origin. While music played an important role in the Serbian medieval state (from the twelfth to the fifteenth century), official music died out during the period of Turkish enslavement. 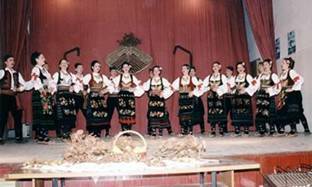 The Serbs in Vojvodina (within the borders of the Habsburg empire) once again became involved in European musical trends in the eighteenth century, but they did not forget their traditional roots. The patrons of iconostases, portraits and still life paintings also enjoyed music which set itself apart from oriental models. Even so, little is known about ecclesiastical and secular music of that time. In the nineteenth century Serbian music developed wherever the Serbs lived, in Serbia and the Austro-Hungarian cities where the Serbs had settled, and there were centres in Belgrade and in towns all over Vojvodina. The music was mostly in the service of patriotic ideas and of the preservation of the nation. Theatre music was fostered in the National Theatre in Novi Sad (founded in 1861) which put on performances for Serbian audiences in towns in Vojvodina and Slavonija, and at the National Theatre in Belgrade (founded in 1868). Orchestra concerts began in 1842 in Belgrade, and soon after Johann Strauss did a guest performance there with his orchestra, performing his own compositions which had been inspired by the Serbian folk melodies as well, and other foreign artists followed suit. In 1899, the Serbian School of Music was founded. The Belgrade Philharmonic was founded in 1923. Music teaching was held in two music schools and at the Academy of Music, founded in 1937. Stevan Stojanovic Mokranjac (1856-1914) the central character in Serbian music was, who had been raised on the tradition of Serbian church and folk music. Mokranjac's "Fifteen Song Collections" (1883-1909), an a capella choir composition, based on the folk melodies of Serbia and Old Serbia, and on that of Kosovo, Montenegro, Macedonia and Bosnia, is one of the greatest achievements of Serbian music. Josif Marinkovic (1851-1931), who was a director of the Belgrade Academic Choir Society called "Obilic". As a superb Romanticist, the author of patriotic choir songs, a choir piece under the influence of folk music and solos of exceptional highly developed melody based on the text of Serbian songs. Stanislav Binicki (1872-1942) proved his musical abilities as a director and composer. Among his compositions is also the opera Rising Early, in the style of Italian veristic opera and Serbian urban folklore. Isidor Bajic (1878-1915), proved himself to be a skilled organiser in the musical life of Novi Sad, where he started the "Serbian Music Journal" and a notated edition of the Serbian musical library. He also founded the Music School. Petar Konjovic's (1883-1970) one of the founders of the Academy of Music and the Institute of Musicology in Belgrade. He composed operas inspired by folk music, stylistically close to the work of Leos Janacek. His operas, The Prince of Zeta (1929) and Kostana (1931; performed in Brno in 1932 and in Prague in 1935) were done conceptually as musical dramas. Stevan Hristic (1885-1958) was the director of the Belgrade Philharmonic and the Belgrade Opera. He showed a special inclination for vocal music, composing technically cultivated works in the neo- romanticist, veristic and romanticist-impressionist style, sometimes hued with the folk melodies. 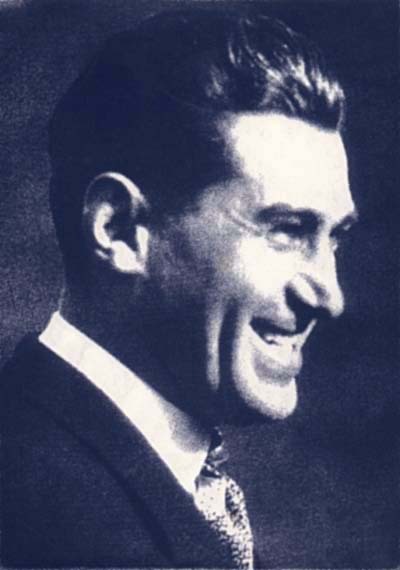 Kosta Manojlovic (1890-1949), the author of modally hued choir pieces who dealt with music history and ethnomusicology. 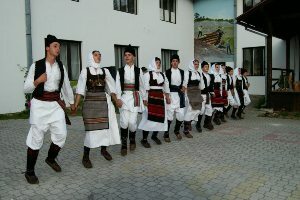 The traditional Serbian dance is a circle dance called kolo. It is a collective dance, where a group of people (usually several dozen, at the very least three) hold each other by the hands or around the waist dancing, forming a circle (hence the name), semicircle or spiral. 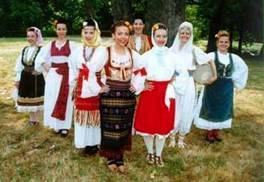 There are some famous folklore dance groups, and some of them have already performed in Japan (Kolo, Sanja Marinković, Branko Krsmanović, Abrašević etc). 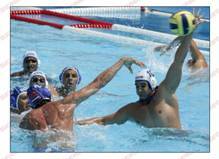 The most popular sports in Serbia are football, basketball, volleyball and vaterpolo - group sports in which our national teams have achieved the highest results. On the other hand, sports popular in Japan, such as baseball and golf have scarce number of admirers. The most famous in Japan, among the fooball players from Serbia, is definitely Dragan Stojkovic Piksi. In the spring of 1994 Stojković signed with Japanese J-League team Nagoya Grampus Eight, then managed by Arsène Wenger and featuring Gary Lineker. He spent seven seasons with the Grampus Eight, retiring as a player in 2001. Stojković played 183 matches for the club, scoring 57 times. He was named J-League MVP for the 1995 season. In Japan there is a monument in his honour, a stadium and a street named after him. 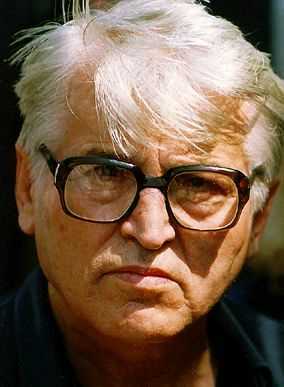 Upon retiring, he became the president of the Yugoslav Football Association, and then President of the Red Star Belgrade Football Club (Crvena zvezda Beograd). 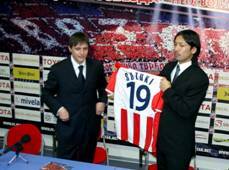 From February 2008, he is a manager of Nagoya Grampus Eight Football Club, along with his countrymen, Assistant Bosko Djurovski and Milos Bajalica, defender from Red Star Belgrade. Owing to their talents, some number of basketball players plays in the world famous NBA league. For example, Vlade Divac was drafted into the NBA in 1989, and played for the Los Angeles Lakers being one of the first European players to have an impact on the league. He was first traded to the Charlotte Hornets and later signed as a free agent with the Sacramento Kings to 2004 alongside fellow countryman Pedja Stojakovic. 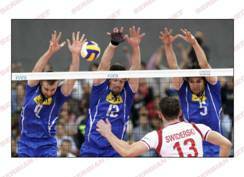 This sports is becoming increasingly popular in Serbia, as well as in Japan. National Team of Serbia (men and women) had the opportunity to participate in World Championships organized in Japan in 2006. Maybe this sport is not the most popular in Japan, but our country had achieved some great results in these sport in history. The players as well as coaches have good reputation. Olivera Jevtić (born July 24th, 1977 in Užice, Serbia) is a Serbian distance runner and is the most succesful in the country. She is based in Užice, Serbia. Olivera's coach is Slavko Kuzmanović and she competes for running club "Mladost". Olivera holds Serbian marathon record of 2:25:23 (Fortis Rotterdam Marathon, 2003). She won the silver medal in the marathon at the 2006 European Athletics Championships in Gothenburg, and was 4th in International WOmen Marathon in Tokyo, 2006. Dragutin Topić (1971~) is a Serbian athlete, a World junior record holder with 2.37. He won World Junior Championships 1990, three weeks before his win at European Championships. In high jump won European Indoor 1996 and World University Games 1995, 3rd at European Indoor 1992 and at GP 1994. He has set 5 national records. Jelena Janković (Serbian Cyrillic: Јелена Јанковић; born on February 28, 1985 in Belgrade, Serbia) is a Serbian professional tennis player. The first tennis moves Jelena has learned in Tennis Club Red Star. As a nine-and-a-half year old she was introduced to tennis by elder brother and fitness coach Marko and later she was trained at the Tennis Academy of Nick Bollettieri. As a junior she won 2001 Australian Open. From 2001, she started to play on WTA Tour, with her first tournament at Indian Wells Masters, when she reached second round. 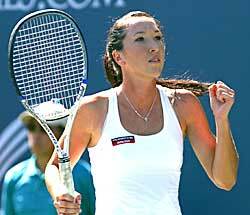 She entered the Women's Tennis Association (WTA) top 15 in late 2006, when she reached semi-finals at US Open. At the beginning of 2007, Jelena became top 10 tennis player and currently is World Rank No. 4. Ana Ivanović (Serbian Cyrillic: Ана Ивановић, born November 6, 1987 in Belgrade, Serbia) is a former World No.1 Serbian tennis player. As of June 14, 2010, she is ranked World No. 45 by the WTA rankings. She won the 2008 French Open and was the runner-up in singles at the 2007 French Open and the 2008 Australian Open. Novak Đoković (Serbian Cyrillic: Новак Ђоковић, born May 22, 1987 in Belgrade, Serbia) is a professional Serbian tennis player. An up-and-coming player at 19 years of age, Đoković has already proven himself to be an all-court player with an abundance of talent. He participated in the 2006 Hopman Cup with fellow Serbian player Ana Ivanović where the pairing narrowly missed the final. He continued his great run in 2006 by shooting up the rankings. He has won one Grand Slam singles title, the 2008 Australian Open, becoming the first player representing Serbia to win a Grand Slam singles title and the youngest player in the open era to have reached the semifinals of all four Grand Slam events. He was also the runner-up at the 2007 US Open and a bronze medalist representing Serbia at the 2008 Olympic Games. In addition, Djokovic won the Tennis Masters Cup in 2008 and has won five Masters Series tournaments.. Currently, Novak Djokovic is World No. 3. Jasna Šekarić (Serbian Cyrillic: Јасна Шекарић) (1965~) is a sport shooter, representing Serbia. She has won one Olympic gold medal and three World Championships in 10 m Air Pistol. In 1992, she lost the Olympic gold despite having the same score as winner Marina Logvinenko. Šekarić was elected world’s best shooter of the year thrice (1990, 1994 and 2005), and the International Shooting Sport Federation awarded her the title of “Shooter of the Millennium” in 2000. Furthermore she was a three-time world champion (Budapest 1987, Sarajevo 1989, and Milan 1994). Apart from that, she was a four-time European champion in the individual competitions (Espoo 1986; Manchester 1991, Budapest 1992, Budapest 1996, and Belgrade 2005). Šekarić triumphed six times in the World Cup Finals and won six “Crystal Globes” – one in the sport pistol (1988) and five in the air pistol (1990, 1996, 1997, and 2005). In the 1996 World Cup Finals she first equalled the world record with 392, and then bettered it to 492.7. She won a total numer of 90 medals in major competitions: Olympic Games, European and World Championships, World Cups, and Mediterranean Games.